Lektro are a Cesab dealer and cover a 25 mile radius from their Slough branch. 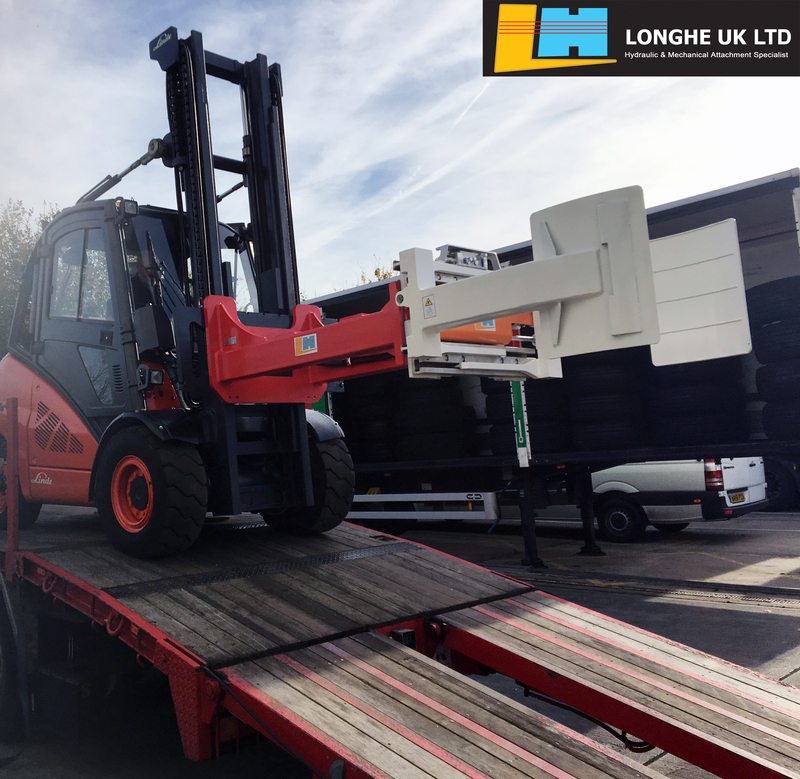 They supply a huge range of new and used material handling equipment, together with bespoke handling solutions. Lektro offer excellent service and flexible finance packages to their customers. Bridgestone Tyres, who are one of Lektro’s Long established customers, had a requirement to unload their aircraft tyres in a different manner, due to a change in the shipping method. The new method restricted access to only one side of the trailer for unloading. Existing handling equipment could only reach half way across the vehicle bed, so a quick solution was required. Paul Townsend contacted our sales executive, John McGinn who was quick to respond with a site visit and a proposal to Lektro with drawings and pricing before the competition had even agreed a date for a site visit…. 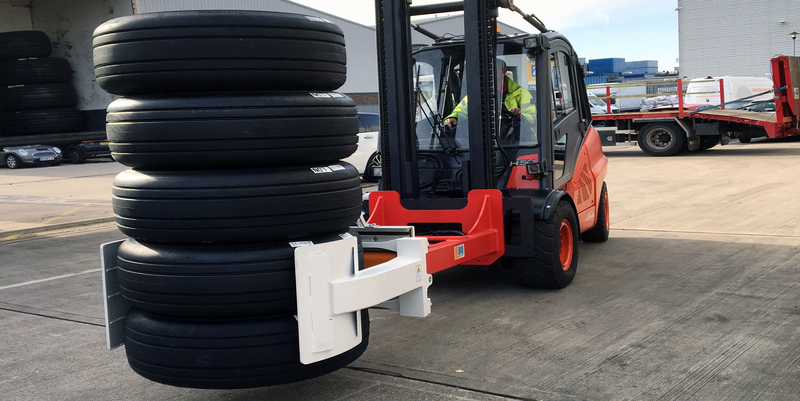 Our bespoke extended, sideshifting tyre clamp was fitted with a pressure relief value, ensuring there was no damage to the aircraft tyres. The new attachment enabled the customer to efficiently and safely off-load the tyres from the trailer, without damage to either trailer or tyres. Both Bridgestone and Lektro were pleased with the technical support from the equipment design engineers at Longhe HQ, ensuring that when the unit arrived on site, it was right first time – and work-ready.